The Office of Admissions & Enrolment Management (OAEM) is responsible for developing admissions and enrolment management policies and procedures, ensuring that these procedures are adhered to and ensuring that all programmes in each Faculty are fully subscribed. The Office has the ultimate responsibility of ensuring selection and enrolment of students for various programmes in each Faculty. In addition, OAEM monitors student attrition and progress from admission to completion of programmes. To do so, the Office prepares, maintains and analyses statistical data to monitor trends in all the University’s programmes, and make recommendations and projections based on these trends. The Office also plays an integral role in promoting the institution both locally and overseas. 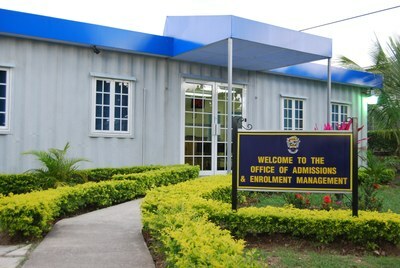 OAEM is located at the building behind the Credit Union and is managed by Mr. Clayton Moore, the Assistant Registrar – Admissions and Enrolment. He may be contacted by e-mail at admissions@utech.edu.jm or by telephone at 927-1680 ext. 2014.